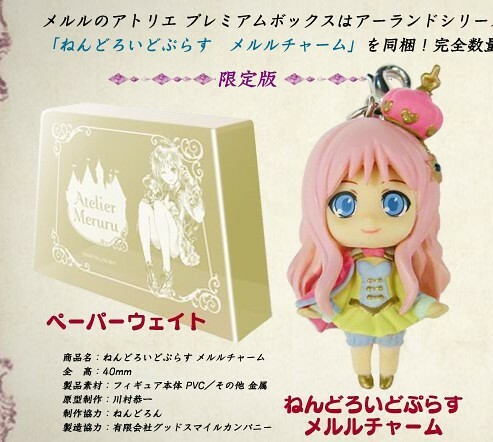 This entry was posted in News and tagged atelier meruru, bundle, meruru, nendoroid, plus, ps3. Actually when someone doesn’t know then its up to other viewers that they will help, so here it occurs. It’s really very complicated in this active life to listen news on TV, so I just use internet for that purpose, and obtain the newest information. Good way of describing, and pleasant paragraph to take data concerning my presentation subject matter, which i am going to deliver in college. intelligently about. I’m very happy I stumbled across this in my search for something regarding this. so intelligent. You understand thus considerably in relation to this matter, produced me personally believe it from so many numerous angles.